Apple today released macOS High Sierra 10.13.3, the third major update to the macOS High Sierra operating system available for Apple's Macs. macOS High Sierra 10.13.3 comes over a month after the release of macOS High Sierra 10.13.2 and a little over a week after a macOS High Sierra 10.13.2 supplemental update which brought a fix for the Spectre vulnerability. 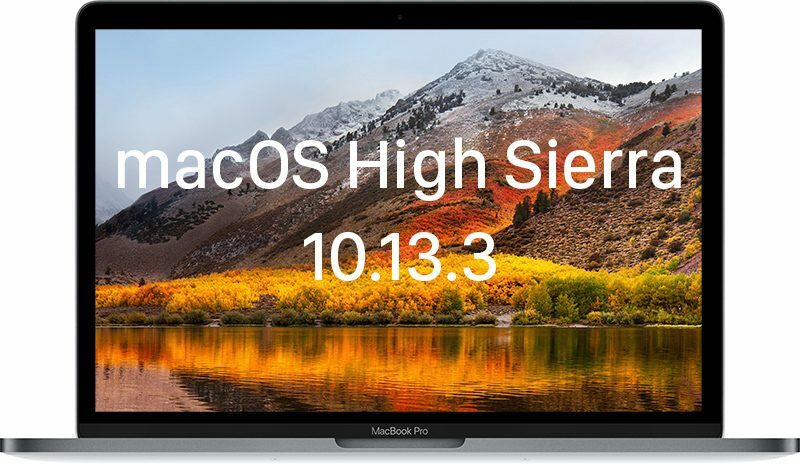 macOS High Sierra 10.13.2 can be downloaded directly from the Mac App Store or through the Software Update function in the Mac App Store on all compatible Macs that are already running macOS High Sierra. For more information on the macOS High Sierra operating system, make sure to check out our dedicated macOS High Sierra roundup. Are they even going to release iMessages in iCloud at this point? Haha, the bar started out, raced to 3/4th done, then said 39 minutes left. And enter your password. When it's done, type "reboot". It's much faster than using the App Store app, and does the same thing. As always they fix this and break something else... That is the motto. The more people that submit bugs like this, the sooner Apple will pour time into fixing them. Maybe when Steve Jobs was alive and kicking summiting bugs used to work, not anymore, the cat is gone and the mice ara having a party. Sierra renders PDF documents sharp and clear, High Sierra are blurry. Load a pdf document and see it for your self. Air 11 - 2015 (SSD). Just thought it was funny that after the reboot, and at the Apple logo the installation bar bam went 3/4th done then put out an estimated time of 39 minutes. 10 mins later it says 11 mins remaining - bar still at 3/4th position. That happens with my Macbook Pro 2011 15-inch sometimes. Are this downloads only for macOS High Sierra? No. You can use the Gatekeeper one for any system from Mountain Lion onwards and the XProtect one from Mavericks onwards. So many systems use them, not just High Sierra. Is there any order to install? I mean after installing iTunes 12.7.3 and macOS High Sierra 10.13.3 Combo Update can I continue installing the new xprotect and gatekeeper? or I have to install first xprotect and gatekeeper? These often install automatically without any users interaction via the mac app store. However it is also quite common for them to fail to install. This results in many people having very old versions of these leaving their computers vulnerable. So it is good to get these installers to force them to install if necessary.